An urban planner, a disaster risk manager, an economist, a consultant and a researcher all walked into a bar. Some were tall, some were short; some were guys, some were girls. There is no punchline here; they were too delirious to be funny. They had been awake for 24+ hours, and all were exhausted. 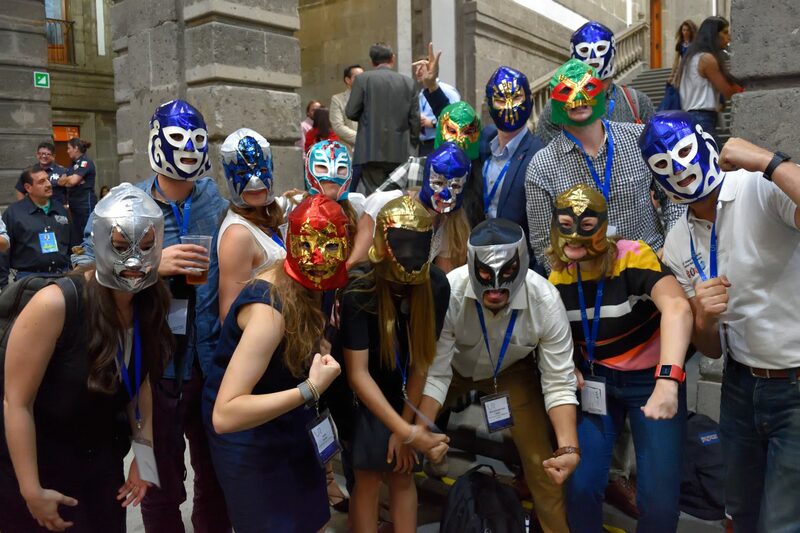 They were part of an intelligent, curious, and dedicated group of young people gathered in Mexico City for the World Bank’s Understanding Risk Conference. They weren’t just conference-goers, however; they were there to participate in the “Risk Communication Pressure Cooker,” a 24-hour case challenge hosted by the Water Youth Network and the Global Facility for Disaster Reduction and Recovery to co-develop risk communication solutions to real world challenges facing local decision makers. The urbanists, geographers, researchers, and economists were divided up into teams, along with artists, writers, computer scientists, data wonks, climate modelers, psychologists, and engineers. No team looked the same, but all were comprised of interdisciplinary, multicultural backgrounds. 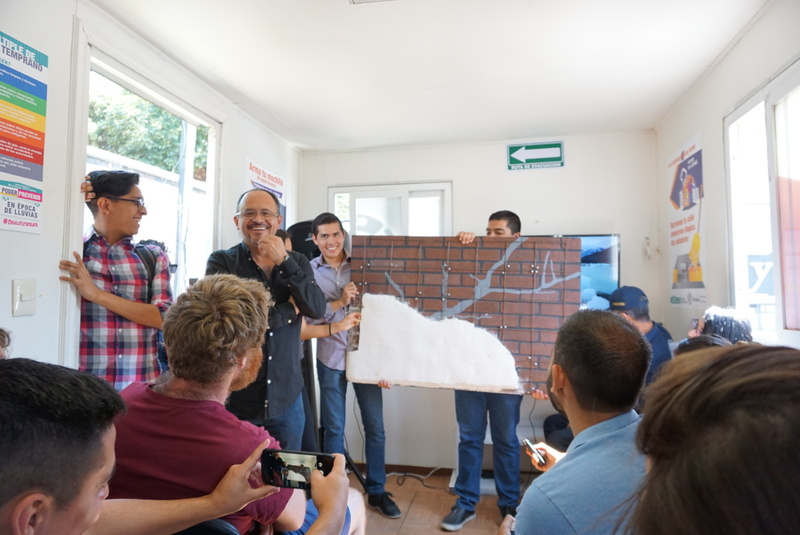 Each team was given a local case challenge, either in Iztapalapa or Dzilam de Bravo, Mexico, and 24 hours to create and present a tangible, deployable risk communication solution. In those 24 hours, we brainstormed, we drank coffee, we made graphs, we made lists, we shouted, we danced, we ate, we learned from locals, we drank some more coffee, we laughed, we typed, we crossed things off our lists, we brainstormed harder, we chatted with experts, we threw things in frustration, we typed faster, we maybe had too much coffee, and we became friends. 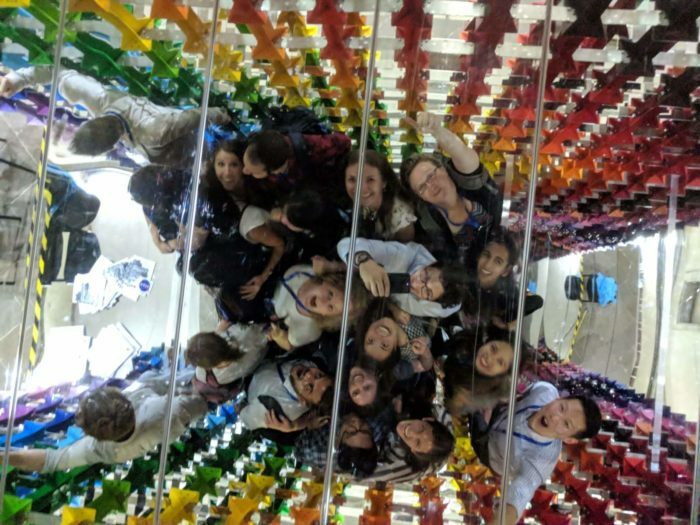 We all had different iterations of the same experience, and within those 24 hours, we had become a new, young cohort of risk communication practitioners eager to change and shape the status quo. 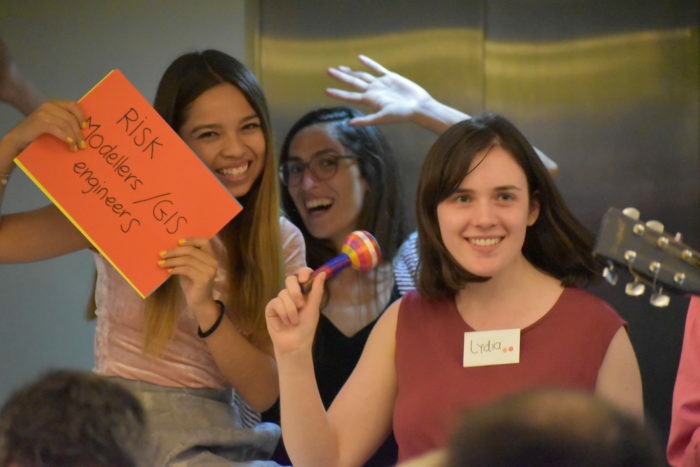 The ‘Risk Communication Pressure Cooker’ event was a once in a lifetime experience in which a hugely diverse group of your professionals and scientists came together to develop a risk communication strategy for a place we had never been. Our team was comprised of PhD students, journalists, consultants, teachers and engineers which meant that everyone was able to play a unique role in supporting each other. As a PhD researcher, understanding and communicating risk forms the bedrock of my research on the use of citizen science for hazard risk reduction. Key to a successful citizen science project is the implementation of a functional two-way communication system where both citizen and risk management practitioners can support each other. This made the ‘Pressure Cooker’ a perfect opportunity to grow as a researcher by exploring some of the key challenges for hazard risk research. Throughout the world, disaster risk is highly dynamic. As generations change, and with that, their ideas, it is important to bring new generations to the UR to introduce young people to senior professionals in disaster risk management. The interdisciplinary generational exposure is very important to ensure the future of disaster risk management specialists. 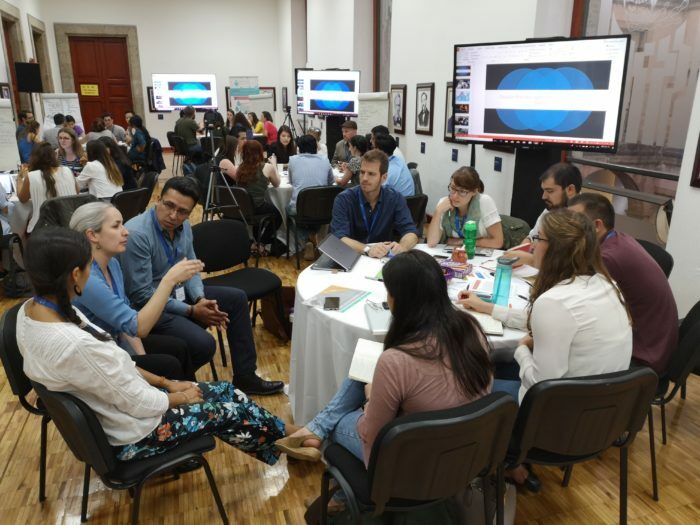 As a disaster risk management specialist focused on risk knowledge, risk communication, risk governance and public policies at the National System for Disaster Risk Management of Colombia, I am interested in the creation of new ways to solve development issues through environmental science. At UR2018, I learned about the power of multidisciplinary and multicultural work. I learned new ways to create and promote events and projects inside a relaxed ambiance. I learned the necessity of the transboundary work. I can apply the relevance of risk communication to my work and coordinate exchanges between the community, academia, public and private sector, as well strengthening how international teams work. UR2018 provided new ways to solve old problems, open the borders of knowledge and increase the possibilities of jobs, and represent the importance of the creation of networks of young professionals. It is important to continue to create places where people can meet other professionals and share a drink, experiences, and contacts. I am a trained urbanist and architect with a concentration in planning for resilience and long term growth strategies for developing regions. The one thing I did learn (the hard way) is that it is excruciatingly challenging to move out of one’s circle of influence to an all new practice vocabulary. Those familiar with Hofstede’s Cultural Dimension Theory understand the importance of a society’s culture, values and its influence on behaviour and communication. The dimensions identified could be extended to most cross-disciplinary teamwork and may give us an understanding of what aspects may have impacted decisions at the Risk Communication Pressure Cooker, such as the power distance index, masculinity vs femininity, and uncertainty avoidance index. 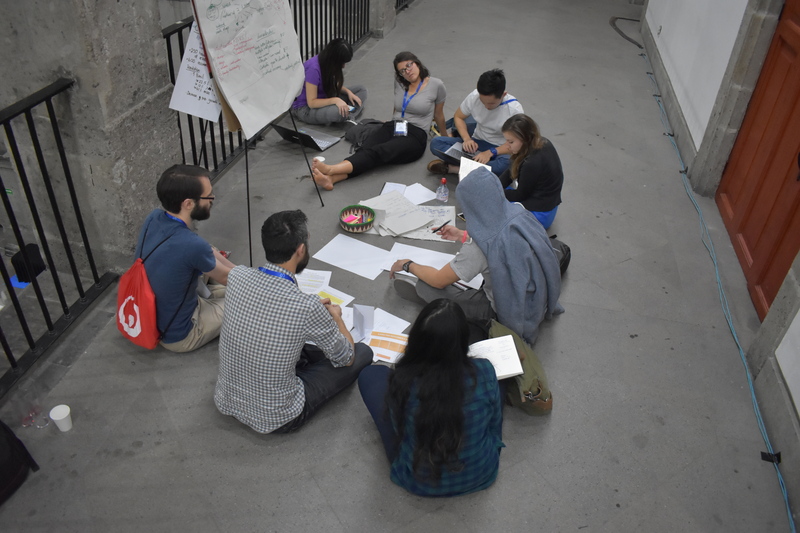 Now put a team together with 7 nationalities and multiple languages to build a risk communication strategy for Iztapalapa. We have at least 42 varying barometers for decision making. This is exactly where an event such as the Pressure Cooker hit the nails on its head: sensitisation. In a globalising world, our understanding may be as big or as small as we want to perceive. Sensitising yourself to the context is the key to being able to communicate effectively and more so creatively. The practice of urban planning in essence is an aggregation of several factors that change continually. The profession is striving to balance the technological infusion in our environments along with extreme resource deficiency. As a planner, I feel compelled to integrate these aspects while not losing essence of the role of planning: to envision spaces for the future. Hence, my research interest lies in combining my training as a designer/planner with the modelling tools of Decision Making Under Deep Uncertainty to find an approach for long range urban planning towards climate uncertainty. Apart from cutting edge doctoral researchers, participants were able to meet counterparts from at least 5 other countries who work with their national disaster management authorities. What a brilliant way to forge partnerships. “Risk communication is an identification process. It is about identifying a solution to a problem, identifying the barriers to adoption, and identifying the best way to get around those barriers. When there’s an alignment in these stars, we will solve the problem at hand”. As I spoke to a room full of strangers, sharing what risk communication means to me, I saw a mixture of expressions – fatigued eyes which were glazed like donuts, curious glints and perplexed furrowed brows. The creative networking session at the beginning of the Pressure Cooker was illuminating. In just over an hour, through the said and unsaid interactions, I discovered a plethora of profiles, each with a unique set of expertise and experience. While the participants were seemingly worlds apart, we were united by a common objective – to tackle a case challenge and present a solution in 24 hours. As a graduate of business management, I’ve always adopted the notion that consumers need not know the technical aspects of how a product functions before they use it. However, through the case challenge, I learnt that trust is an important element in risk communication and it is better built when end-users make self-directed decisions, based on their own assessment and understanding of issues and its accompanying uncertainties (e.g. weather forecasts are not 100% accurate). This degree of understanding can be achieved through integrated risk communication strategies, which often entails making the science and workings understandable to end users. The challenge posed to the team stemmed from a real scenario faced by officials in Mexico. While approaching the problem, it became evident that the team had to examine it from multiple angles. There was immense value in an interdisciplinary operation and every member brought a different perspective and skill-set to the table. Through the discussions, many ideas transpired and the team managed to adapt concepts from different disciplines to arrive at a unique solution. As a young professional, I found the multi-disciplinary exposure and interaction to be extremely humbling and beneficial. Though frustrating at times, the iterative process of ideation was spectacular – each team member functioned as a unique sounding board, sculpting and contributing to the solution differently. Most importantly, I have established connections with a network of budding experts whom I can tap on for future collaboration opportunities. The experience has reinforced my belief that the audience has to be at the core of any effective solution, not just the communication. With UR2020 taking place in Singapore, I hope that the pressure cooker will have more participants from Asia so that the network is established in the region as well. It was also clear that the pressure cooker saw an immense amount of support – from government officials providing details on the case, to guidance and comments from experts. Such levels of support allowed for the participants to benefit greatly from the experience. This seemingly impossible task was made possible through the support of the Water Youth Network organisers, key stakeholders, and a very passionate, interdisciplinary group of people. The financial support from GFDRR, FM Global, NERC, NASA, and Lloyd’s Register Foundation Institute for the Public Understanding of Risk (and others) was instrumental in orchestrating something fantastic. Thank you for making participation in this event possible, increasing the network around disaster risk management, and developing our skills in risk communication. Our involvement in the pressure cooker would not have been possible without their support.